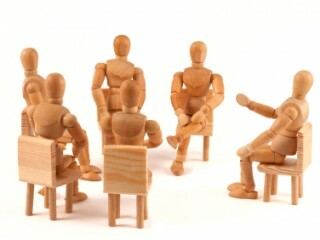 A few weeks ago I attended a local support group meeting. Later I was thinking about the number of support group meeting I had attended over the years since my mother passed away and the number of people I had met. Some had only recently found themselves in a caregiving situation while others had been in that role for some years. I realized that in almost all these meeting there were only a handful of people who had been through a caregiving role and the eventual loss of their loved one. I started thinking about the possible reasons for this departure from the support group community. I assume in many cases at one time former members of the support group shared feeling of grief and anger. While it is totally understandable there is the factor of distress and grief after the death of their loved one and having to find a way to move on (everything has a time and a place). I began to also think about and recognize the gift experienced participants have to offer to support groups even after the death of their loved one. I then recalled one time we had a caregiver and wife in one support group who would relate the difficulties she faced over the years of caregiving for her husband to the group each meeting. In mid to late stages her husband would frequently become angry and occasionally violent. How some people had suggested a range of options or that she seek professional care for him, and then there were even those outside of the situation itself who had suggested that after almost 48 years together she divorce him. All along she showed strength of character and inspiration to others in the group despite the grief and anger. She spoke of the lingering disbelief and years of loneliness that dwells with many in support group families. She taught others that the most difficult times eventually pass and that patience, love and peaceful days can find their return. She taught about stretching beyond the grief and anger by reaching out to those who share a common path, how difficult it can be for caregivers to feel that they have the energy to open up to others. She may have felt that same reluctance in the early years. And yet, she's an example that on the other side of isolation sits connectedness, offering a way to greater resilience and ease. And perhaps what I love the most, she is an example of living through life's heartache with dignity and grace. After the passing of her husband just one month shy of their 55th wedding anniversary she continued to attend the support meeting before announcing to the group that after many years of attending the support group, she felt she didn't have much to offer anymore. She said perhaps she should move on. Form the support group perspective her gift was her willingness to be vulnerable and to share her story, her beautifully imperfect life — a life that offered lessons in resilience, dignity and hope. And when she shared with others (and us) in her support group, the notion that we were disconnected dissolves. Perhaps this was the gift she received in return. Without a way to share stories and struggles a caregiver experiences, we are all left feeling lonely, indifferent and out of touch with our life's meaning and purpose. We can end up feeling unworthy, unloved and even sick. Sharing and telling our stories with others who will listen and who really care may be the most powerful medicine on earth. I encourage you all to find ways to connect and share your story — this will be a lasting gift to you. Listen with empathy to others who share their story — this is the gift you give to one another. Know that “You Are Not Alone”. In other words, "it will be all right."